Capable of bagging at speeds up to 80 bags per minute, this automatic filling and sealing bagger has been designed to be simple to use, dependable and operationally flexible to give maximum machine uptime and bag packaging productivity. Package size changes can be achieved in less than 2 minutes using Autobag pre-opened bags-on-a-roll, offering a fast and cost-effective packaging solution. 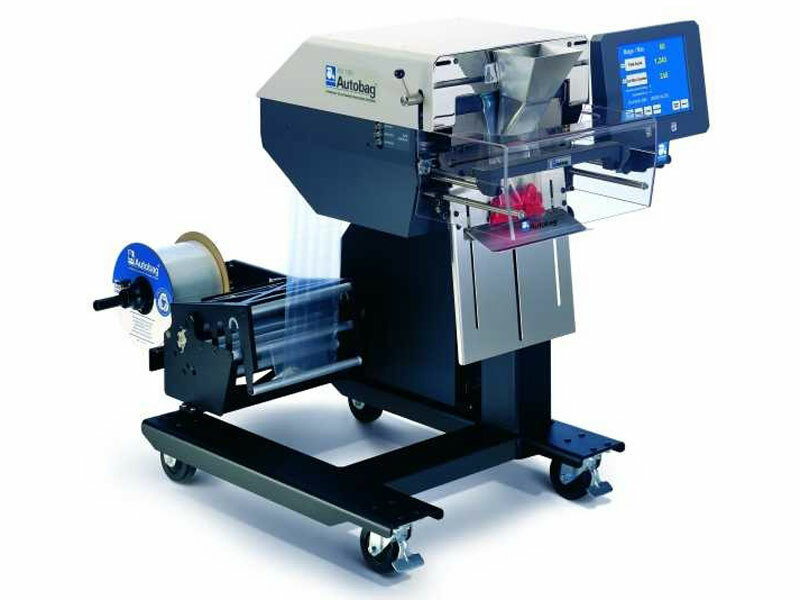 Utilizing the latest technology, Autobag Replace-n-Repair™ machine operating systems, and the most advanced user touchscreen available, the AB 180 is the most reliable, and easiest to use automatic poly bagging system available. The large, interactive AutoTouch™ Control Screen enables fast and easy job set-up and recall. The system’s high capacity memory allows storage of multiple jobs, and offers a powerful system diagnostic and operator help tool. Using system-matched Autobag pre-opened bags-on-a-roll, the AB 180 offers a fast and cost-effective packaging solution. W 2 to 11 in. L 3 to 22 in.